Yoga or Pilates is a great way to release your stress after working. 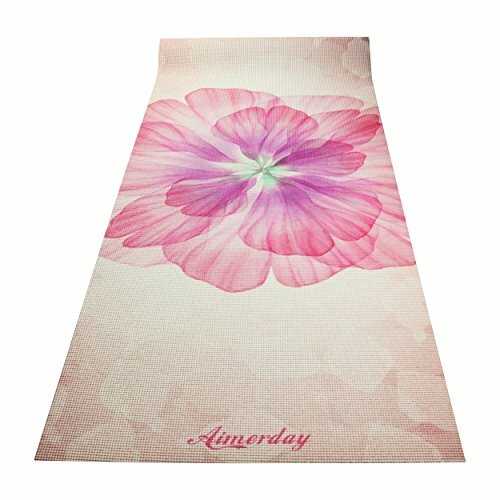 You can have a stretching exercise or meditation with a great mat. Aimerday Exercise Yoga Mat instantly adds comfort and support to your fitness routine, regardless of where you are! PREMIUM ECO-FRIENDLY MATERIAL- Non-toxic, free from silicone, latex, toxic glue, phthalates & chlorine, durable and high density pvc material which was not easily deformed or get scratched. 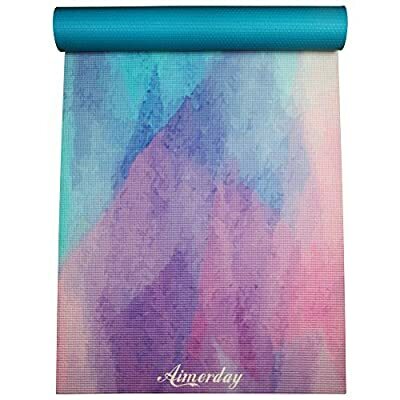 Aimerday yoga mat was safe use for men and women, children and adults, its waterproof surface with closed-cell construction, so moisture, dust and germs are prevented from being absorbed into the mat. Just clean the mat with wet cloth after using. ANTI-SLIP & ANTI-TEAR- With double sided anti-skid surfaces. 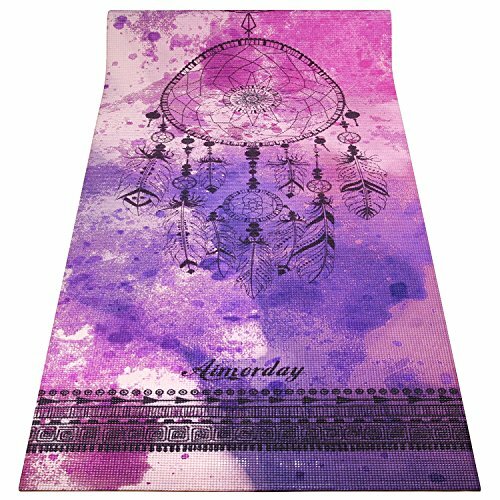 Aimerday mat comes with an excellent slip resistant advantage to grip the floor and thus prevent injuries. With the creative triple-layer design that adds anti-tear grids to the middle layer, Aimerday mat was long-life-used. EXTRA LONG-EXTRA WIDE-EXTRA THICK- 72"x24" ensures enough space for most exercise like hot yoga, pilats, ashtanga, bikram, vinyasa and balance exercise. Exceptional resilience stability allows you to keep your balance during any exercise style. 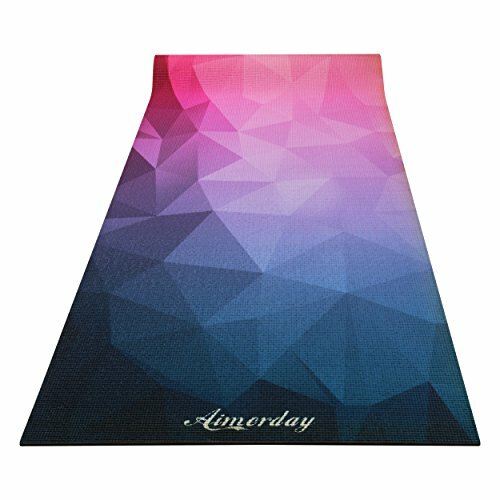 1/4" extra thick high density padding could avoid sore knees and elbows during stretching & toning workouts EXCLUSIVELY UNIQUE PATTERN - Designed by Independent Designer from Aimerday and advanced printing technology made mats colorful and never worry about fading. 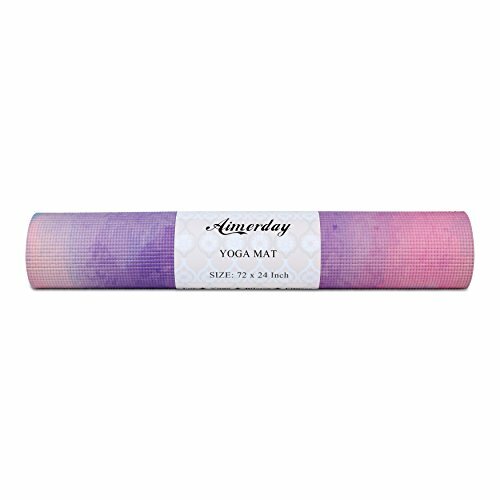 The printed mats bring you physical and mental pleasure when doing yoga. Lots of Aimerday mats users have got much compliments from their friends. PERFECT GIFT and 5 STARS CUSTOMER SERVICE - EXCLUSIVE SALE, the most delicate gift for you friends, families and yourself. And within 90 days you bought our item, we accept your return for full money refund. Our goal is 100% satisfaction of after-sale service. 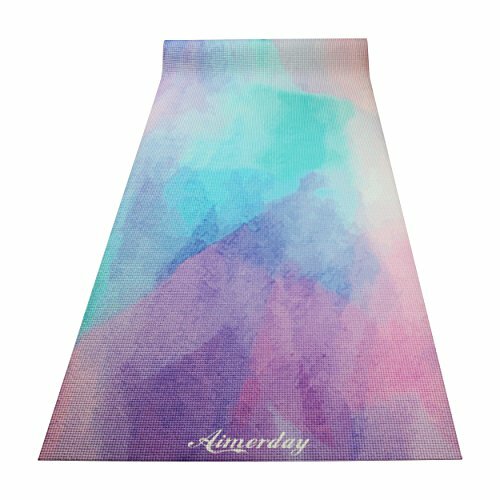 ORDER NOW-TIME LIMITED DISCOUNT, you will get a unique Aimerday Yoga Mat with a free strap and carrying bag for home, Gym and travel!